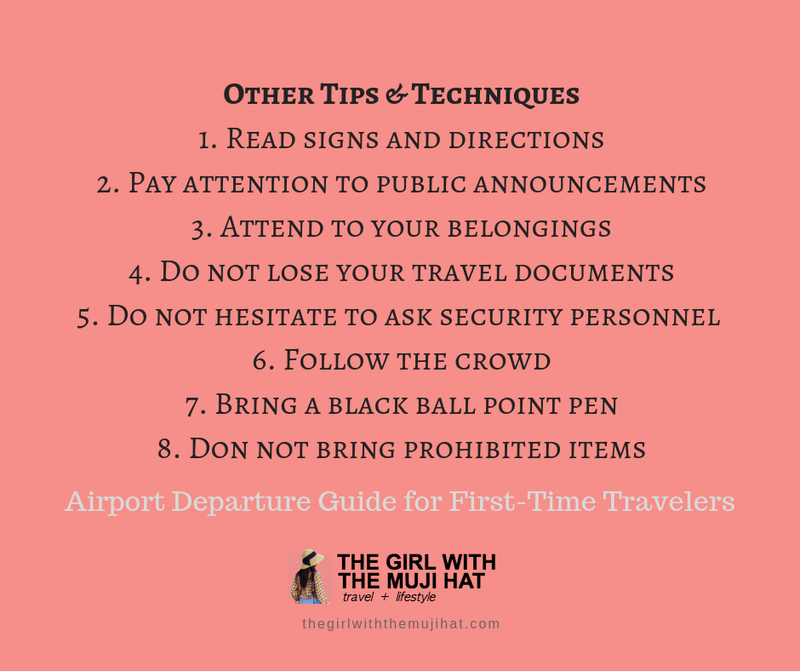 A step-by-step guide on what to do at the airport when you are traveling out of the country for the first time. If you are eager to read through then I assume you will soon board a plane and travel outside the Philippines FOR THE FIRST TIME. Are you excited to travel out of the country? Nervous to talk to the immigration officers in NAIA? Anxious you'd forget something important? Almost clueless of what to do when you arrive at the airport? I completely get you. I had the same mixed emotions the first time I traveled. Truth be told, my very first flight departure experience was memorable for all the wrong reasons. You see there are so many things going on at the airport. With a stream of passengers everywhere, announcements and noises to keep your attention, it's necessary you know what to do and where to go BY HEART. 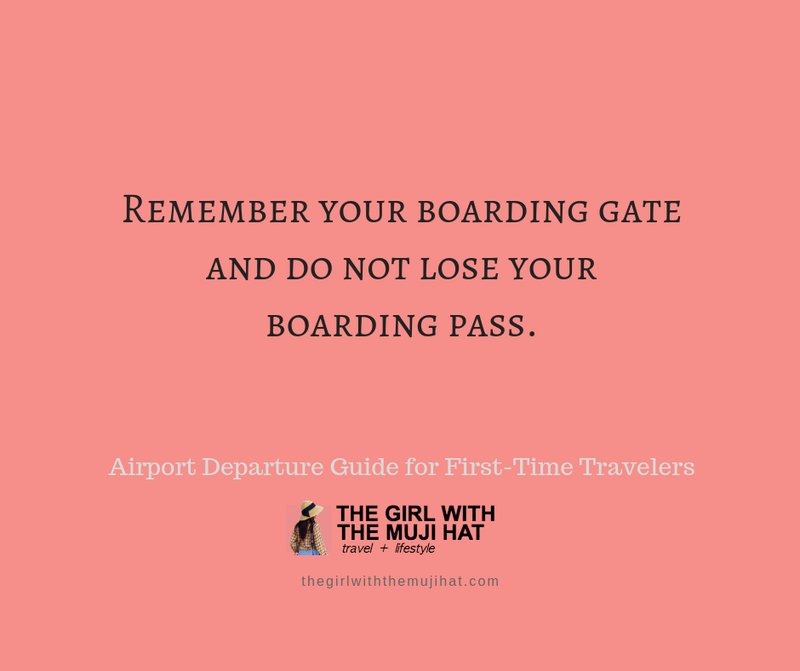 In this post, let me share a guide on stress-free airport departure procedures in Ninoy Aquino International Airport Terminals. 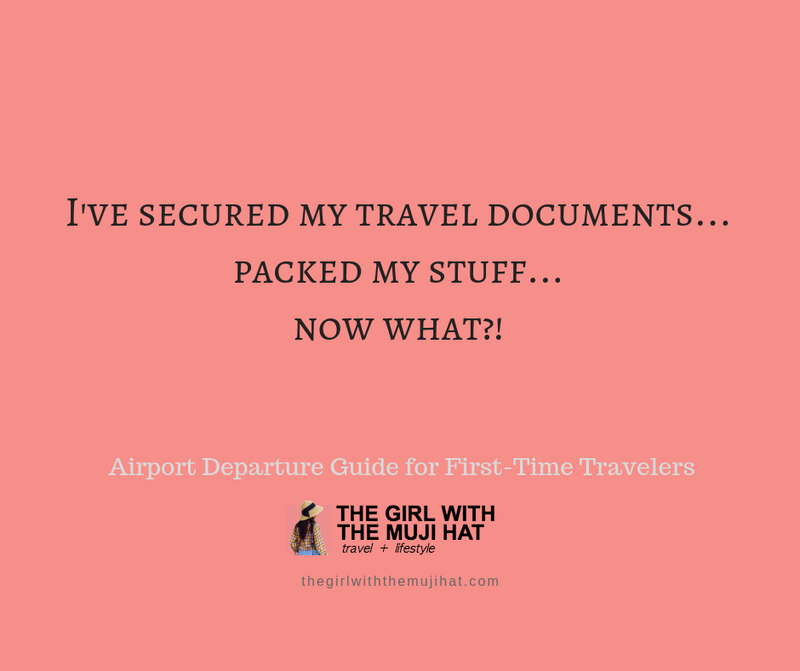 My reference for this post would mainly be my personal experience—things I learned the hard way—and some NAIA airport guides. Naturally, after securing travel documents and packing your stuff, you leave your house and head to the airport. A. Head to the Airport entrance. Get off the taxi/ bus/ PUV. Take your luggage with you. If a person in uniform offers you help, you can opt to let him BUT know that you have to pay PHP 50 afterwards. It is his job as a “porter” even if he doesn't tell you beforehand. In some domestic airports, some people will offer help then ask for a tip. In such case you can give at least PHP20 depending on how far and how heavy your stuff is. DON’T FORGET to keep an eye on your belongings though. 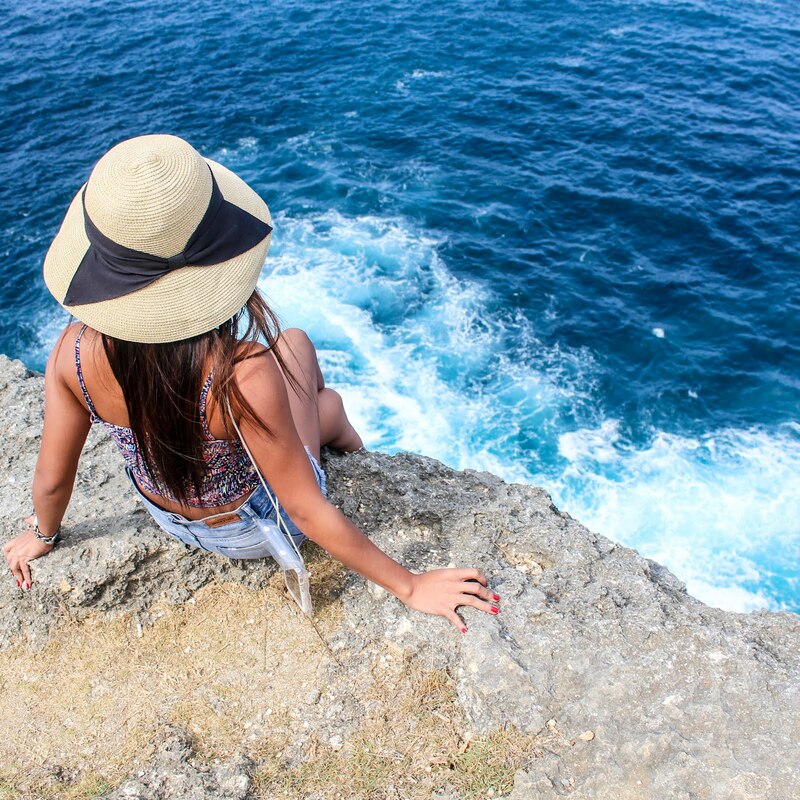 PRO TIP: Ready your Passport and printed itinerary. Present it to the security personnel upon entrance. B. At the entrance, expect tons of passengers in line (especially at TERMINAL 1) to enter the airport building. Choose the entrance that corresponds to the airline company in your itinerary. Look at the signs above your head. Though you can practically enter at any entrance gate, it is civilized to pass through your designated point of entry. Prepare your itinerary/ boarding pass and Passport. If you are traveling domestic, ready your itinerary/ boarding pass and Valid ID. Show them politely to the security and enter the building. C. Upon entering, place all your belongings to the conveyor belt and let them pass through the x-ray machine. PRO TIP: Use the trays for your small items (i.e mobile phones, belt, shoes, etc). As this happens, step through the metal detector and have yourself inspected by the officer. It doesn’t really take long. After you are clear, promptly get your stuff and return the tray that you used to its proper place. A. After the initial security check, head to the nearest flight information monitor. It is the screen that shows flight information, designated check-in counters and other related info about a passenger’s flight. B. Look up your flight number on the screen and see your check-in counter. The check-in counter opens usually 2 hours before an international flight and an hour before a domestic flight. So you will see a table with Flight number – check-in counter – status. So if your flight is PR 5678 bound for NRT from MNL, you can check-in at counters E4, E5, E6, E7, E8 or E9. If your flight is 5570 check in counter is not yet open. You have to wait. If it opens, your check-in counter would be any counter from T to V. It’s not so difficult. I believe you’ll be able to figure it out easily. A. BEFORE PROCEEDING TO YOUR CHECK-IN COUNTER for check-in, I STRONGLY SUGGEST you pay the tax and terminal fee first. The cashier is in the far left end of NAIA Terminal 3. For terminal 2 here it is. In most cases the counters are jam-packed with passengers, you'd have to wait in line for a couple of minutes. At the counter, you'd be asked to show your passport, itinerary and travel tax receipt. That means if you check-in first before paying the tax, you'd have to go out of the check-in area again, go to the tax section, queue, pay, go back to the check-in area again, queue, present your receipt... do you get my point? and not the other way around. Some security personnel direct passengers to the check-in counters without asking them whether they’ve paid the tax and terminal fee already, as a result the passenger/passengers would experience the inconvenience. So I am telling you, pay the travel tax and terminal fee first before you check-in. Look at the sign, there should be step 1 or First Step. Line up. Wait for your turn. If it is your turn, show your passport and your boarding pass/ itinerary. Answer the question if asked such as “where are you travelling?” then pay PHP 1620. Wait for the receipt. Politely say thank you after the transaction. A. Go to your designated counter and check-in. Hand your itinerary/ printed boarding pass, TERMINAL FEE/TAX receipt and PASSPORT to the airport crew. PRO TIP: If you check-in online you can queue on web check-in counter. After checking in, you’ll be given your BOARDING PASS with your corresponding GATE NO. and BOARDING TIME. The airport staff will confirm the details on your boarding pass and make sure you understand the said details. Do not forget your gate number. And DO NOT LOSE your boarding pass. A. Get past the check-in counters and head to the immigration. Don't be confused. As for directions, follow the person ahead of you or ask an airport officer. At the immigration area, you’d be needing to fill out a DEPARTURE FORM. PRO TIP: If there are many people, fill out the DEPARTURE FORM while in line especially if you are in a hurry. USE BLACK BALLPOINT PEN. WRITE LEGIBLY AND NEATLY. B. Proceed to the Bureau of Immigration officer window. Hand your departure card and passport to the officer. No need to show your boarding pass/ return ticket unless asked. Answer the immigration officer's queries. DO NOT TAKE THIS PERSONALLY especially when the officer is sounding indifferent or hostile. It is just another airport SOP. The usual question would be: Where will you go? Who will you travel with? What is your job? Where will you stay? When will you go back to the Philippines? Bureau of Immigration officers will sound serious. They are not supposed to be friendly so again, do not take this personally. Make sure to be calm, honest and polite. They can deny you to board the plane (for legal reasons) so exercise your manners. Wait for them to stamp your Passport. If you are a DOST scholar who has not applied for clearance yet, this post is for you. A. After you get your Passport stamped, proceed to the final security check. Again, place your stuff in the conveyor belt (your small belongings into a tray) and have them scanned. Step through the metal detector for self-inspection. After you are clear, get your stuff, put the tray back to its proper place. Politely say thank you to the officers if they help you out. A. Go to your assigned boarding gate and calmly wait at the lounge for your boarding time. You might need to queue again. But listen to the announcement about which seats to go in first. Normally passengers by the window go in first or rows 16-28 take the rear entrance. Pay attention to the announcements made at the airport. It may come in handy for sudden changes like if your boarding gate is changed or your flight is delayed, etc. Queue, SHOW YOUR BOARDING PASS to the airport crew and then get on the plane. Avoid taking photos in the ramp! BECAUSE! And do not board the wrong plane!!! Hope you find this AIRPORT DEPARTURE GUIDE useful and if I miss anything please feel free to share your thoughts... Also, you can check out the FOREIGN AIRPORT ARRIVAL GUIDE HERE. Did you find this post useful? Do you have other airport departure tips and techniques you want to add here or some airport hacks you want to share? Let us know in the comment section below! And yeah, if this is useful, please do share!